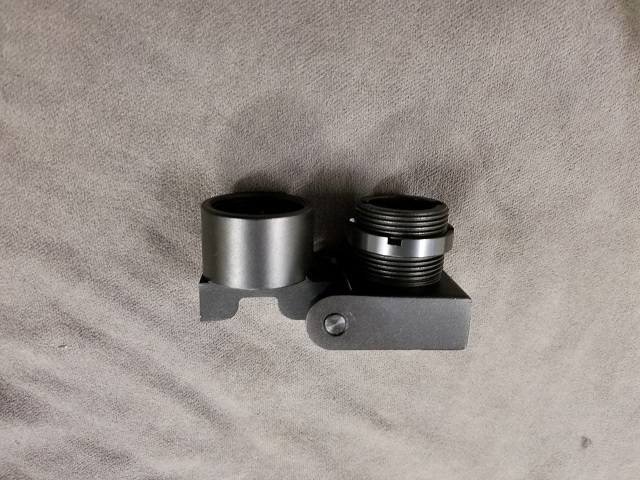 This unique side folding aluminum stock adapter must be mount to an AR buffer tube style threaded adapter or base and then an AR type buffer tube with a rear stock can be mounted (threaded). May fold to the left or the right. This part number is for side folding adapter only) Please see each specific category for the adapter for your gun. Fits Commercial and Mil Spec tubes, does NOT work with regular internal buffers and buffer springs. Made of high strength aluminum, finished in black oxide. Locks in the open position. Light duty only, for pistol buffer tube mount only, not for use with arm braces, stabilizer blades or rear stocks.